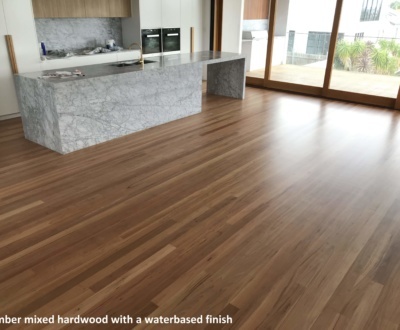 Australian timbers have become a popular flooring material across Australia due to their natural beauty, strength, low maintenance upkeep, impact resistance, and a stunning variety of colours. But did you know that timber, like many organic materials, will naturally change colour when exposed to the sun’s ultraviolet (UV) rays? What causes a timber floor to change colour? Colour change in timber is a complex phenomenon. All wood will naturally lose its colour when exposed to sunlight over time, due to chemical changes that occur inside its tannins and lignins. Tannins are what give timber its rich colour, while lignins are what hold a timber’s fibres together. Upon exposure to ultraviolet rays, the lignins in the timber gradually break down into simple sugars, and the tannins will slowly oxidise. Both of these chemical changes will influence the colour of your timber floor or deck. What factors impact how my timber changes colour? 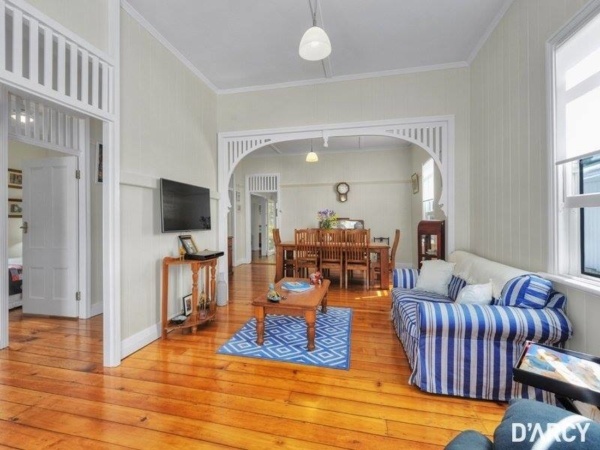 Different timber floors will respond to UV light differently, for a variety of reasons. 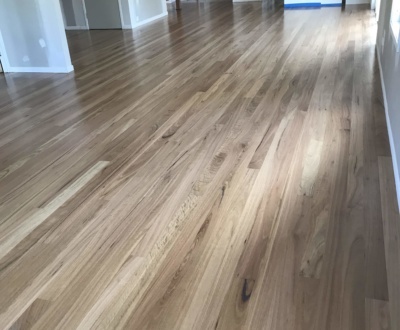 For example, the blackbutt timber floor in your living room will respond differently to the sun’s rays in than the Australian beech floorboards in your bedroom — even if they receive a similar amount of sunlight. The timber species: Timber from different tree species will change colour differently. The tree from which the timber was cut: Colour changes can vary even among trees of the same species. Why? Each individual tree has a unique chemical composition, impacted by its age and growth rate. The level of indirect and direct sunlight: The amount of direct and indirect sunlight exposure that your floor receives will impact the intensity and rapidity of the colour change. Generally, direct sunlight will change the timber floor’s colour faster. UV protection rating: The presence or absence of tinting on your home’s windows and the strength of the UV protection rating can quicken or slow down timber colour change. Average temperature: Temperature can impact the rate at which the timber changes colour. Floors and window coverings: Any floor or window coverings, such as rugs or curtains, can result in a different timber colour. 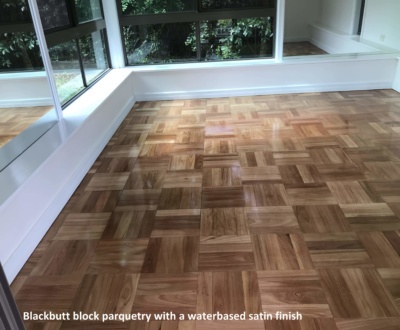 Finish: The most important factor is the type of finish used to protect your timber floor. For example, water or solvent-based polyurethane, oil or stain will act differently. 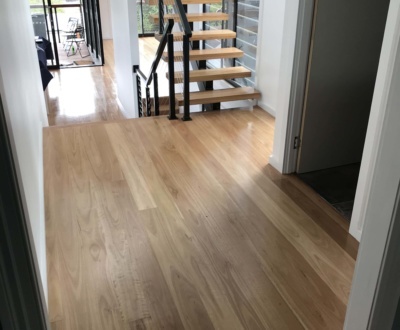 Your choice of finish will impact whether your timber floor’s colour deepens, whether it keeps a similar shade to the original natural timber, whether your timber has strong protection from UV rays or weaker UV protection for a more bleached look. 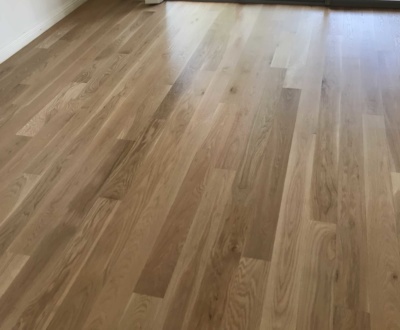 How does my choice of timber finish impact my floor’s colour change? Your choice of finish will greatly influence the apparent colour of the timber, even before sunlight exposure. 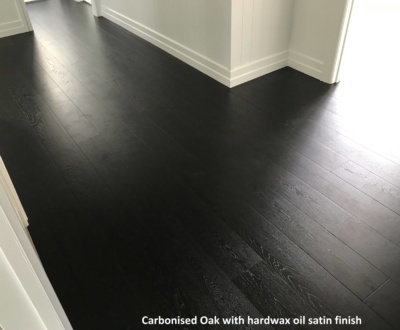 This will occur immediately after application and continue to impact how the colour of your timber floor ages over time with exposure to sunlight. Each brand and type of finish will respond to UV exposure in a different way due to its protective UV rating. Additionally, colour changes produced by a finish will naturally interact with colour changes in the timber. The colour change of a finished timber floor can be drastically different from the colour change in an unfinished timber floor. 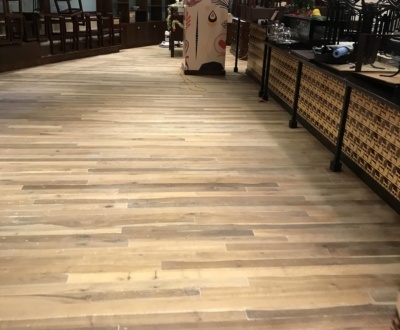 Due to the protective qualities of timber finishes, a finished timber floor will typically exhibit a much lower degree of colour change than an unfinished timber floor. What can I do to protect my timber if it experiences a lot of sunlight? 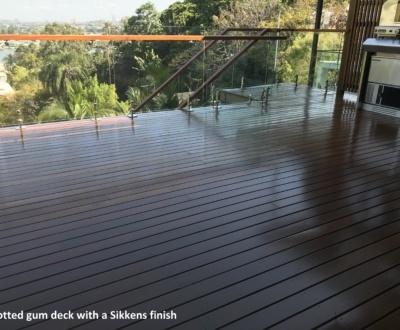 If your timber is used externally, such as in a deck or garden, you have two options to preserve the integrity of your timber and stop it from damage over time. If you would like your timber to have a deep or rich colour, we recommend applying a coating, with a fresh stain applied once every two to three years. If you appreciate a grey timber look, you might instead apply a clear polyurethane coating. This will help preserve your timber’s integrity and strength while letting the natural colour change take its course. Need more advice on timber flooring and finishes? Get in touch with the experts at Brisbane Finest Floors on 0411 220 488.